This was my 4th year to attend TCEA and by far the best! I had the pleasure of presenting 2 sessions on Tuesday at the Technology Applications Teacher Network. I was very nervous before each session but they both went very well. You can check out the session resources here. I attended lots of great sessions. I walked out of one and wanted to walk out of another but I was sandwiched in. I facilitated a session for people who had premium registration. That was nerve-wracking. People have to be let in, put on a wait list then let in. Some people were very grumpy about it. I did not like that. But the session was wonderful and the presenters very kind. 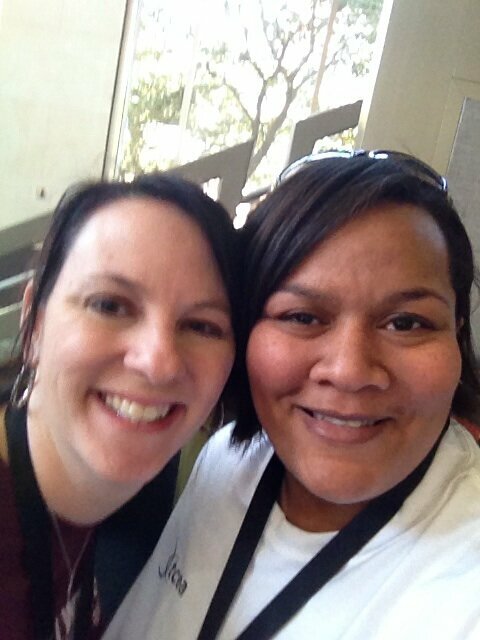 But, hands down the Twitter made TCEA 2013 the best. Well, not the actual app Twitter but the people I've met through Twitter. I did not feel alone at TCEA because I already had a network of people to hang out with. I was able to meet some of my tweeps in person for the first time. It wasn't even that awkward to say "I follow you on Twitter!" to a complete stranger. And it was so cool to have people say "Oh hi! I follow you on Twitter!" I've come a long way since EdCamp Dallas. Because of Twitter, I was comfortable plopping down in a chair (or bean bag) in the digital square and strike up conversations. I had never visited the Digital Square but I spent a lot of time there this year. There were awesome sessions there, but more importantly, awesome conversations. I tweeted this at the end of TCEA and I really mean it. I enjoy TCEA every year but this one was so much better. I wouldn't go back to the old way. The way of isolation. I'll continue to meet educators from across the world on Twitter. I'll learn from them. Hopefully, I'll teach them something. I'll meet them in person and feel like I've known them forever. Join me on Twitter! 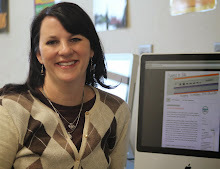 I am so excited to present at the Technology Applications Teachers Network Tuesday at TCEA! I am doing 2 sessions and the resources for both are below. If you would like copies of any of the documents show on the Prezi, please email me. I'm happy to share!